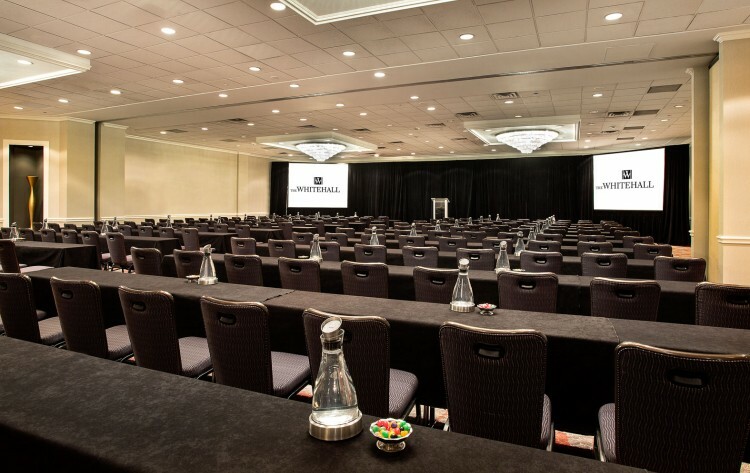 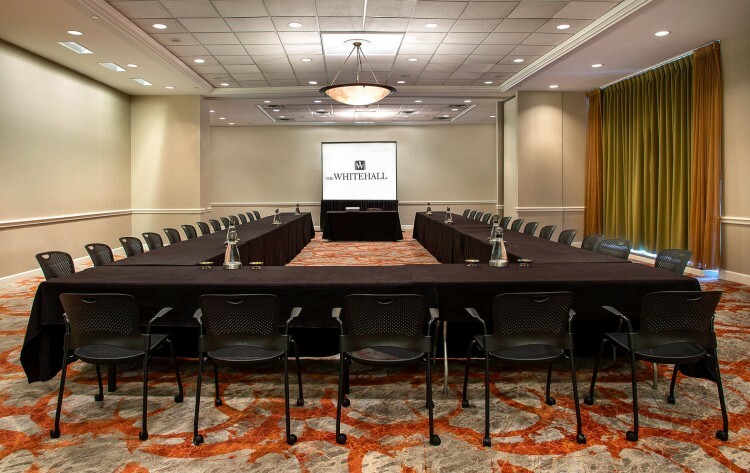 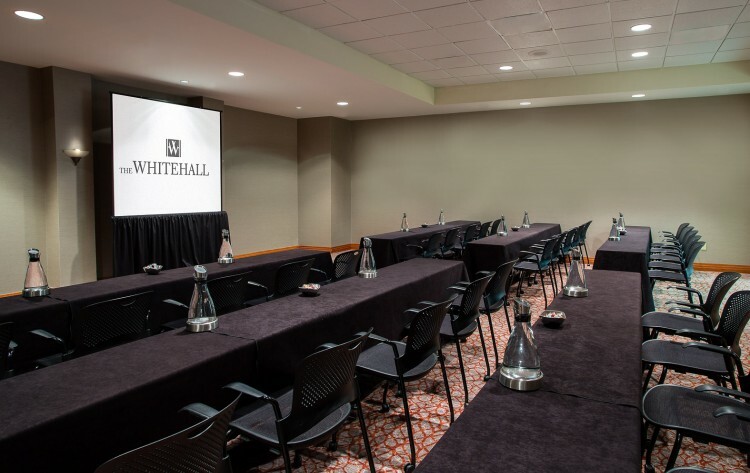 Seamlessly combining a perfect downtown location with modern style and Southern hospitality, The Whitehall is Houston’s premier address for meetings and events. 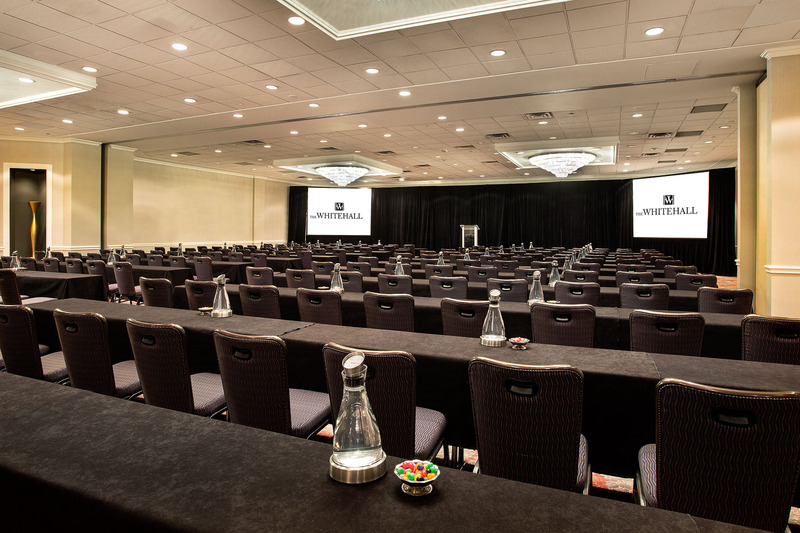 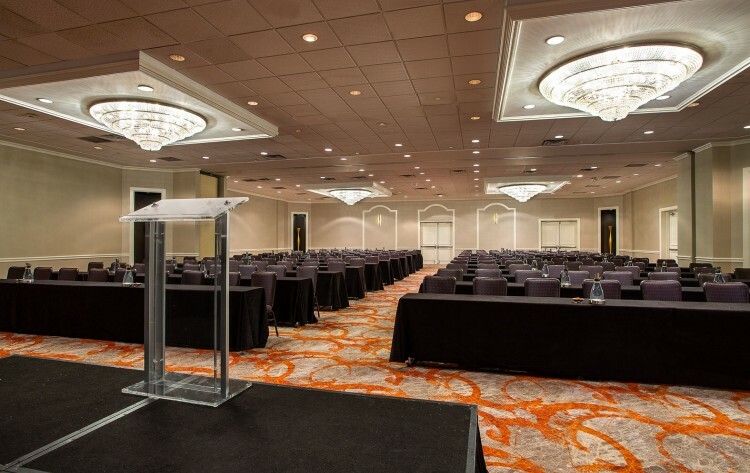 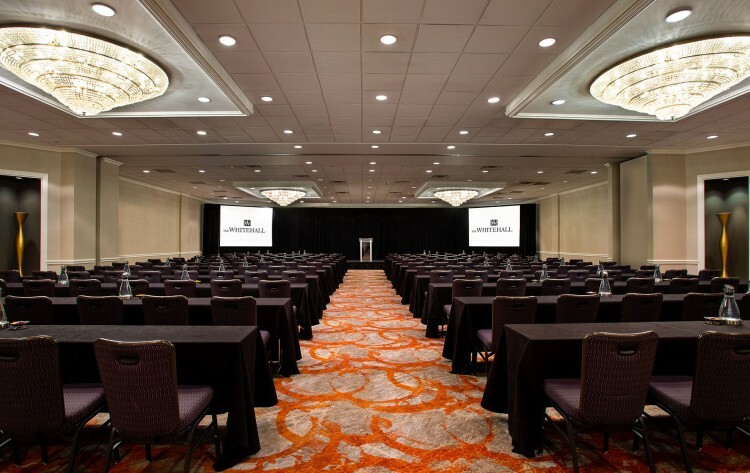 The hotel offers 12,000 square feet of versatile event space, including 14 high-tech meeting rooms accommodating up to 400 guests. 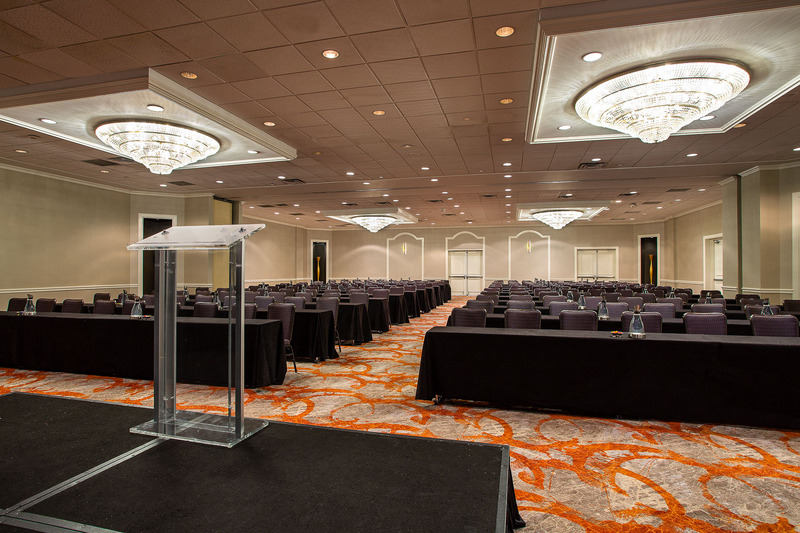 Our flexible meeting packages, custom catering menus and professional event coordinators make it easy to plan a memorable Houston meeting or event that sparkles with Southern charm and originality. 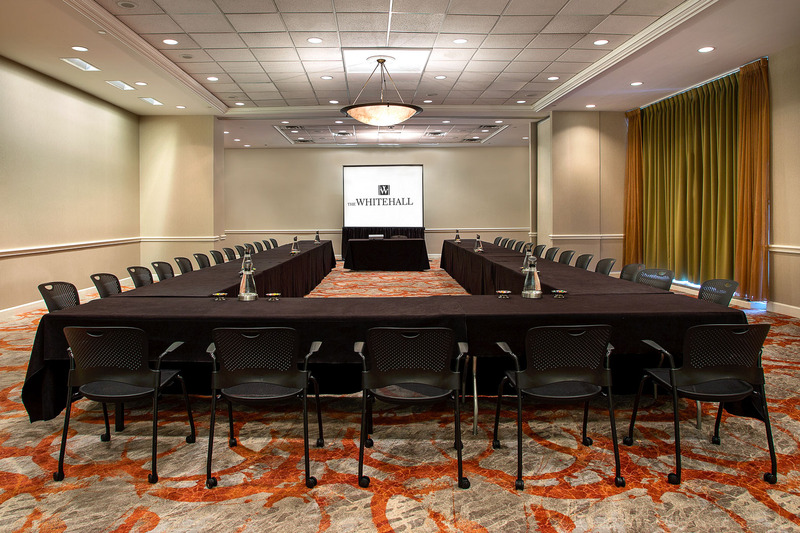 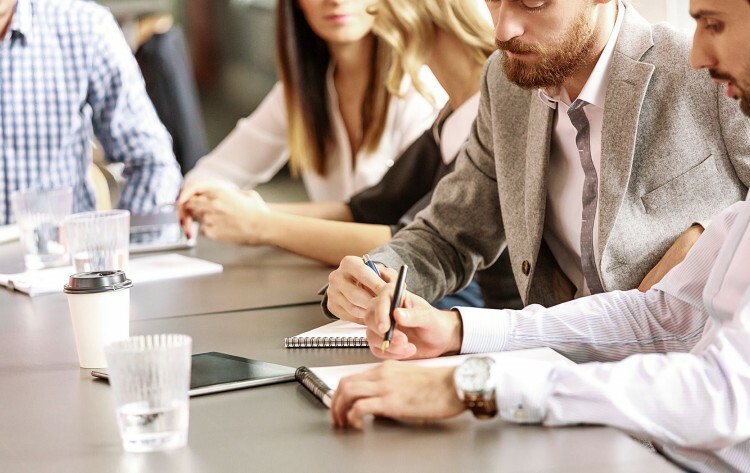 And because we know that some of the brightest ideas happen outside the boardroom, we’ll connect you with our Sotherly Host, a Houston expert who knows all the best spots for entertainment, events and attractions. 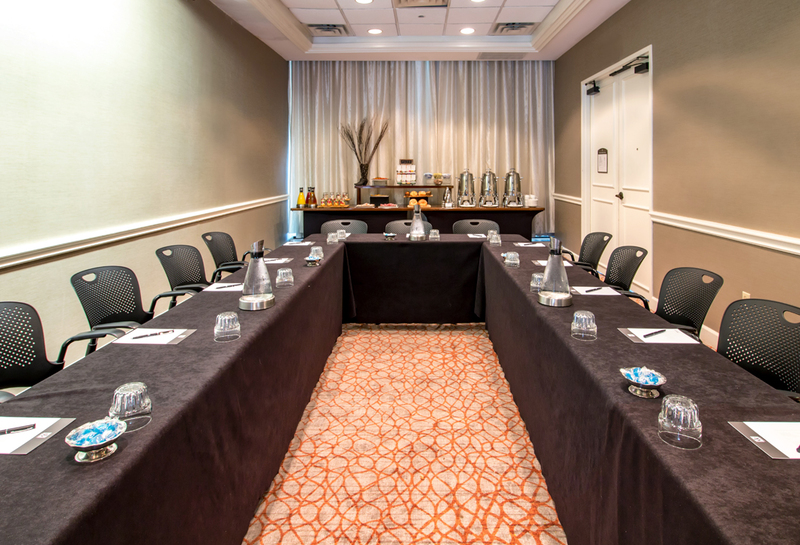 We can also introduce you to Houston teambuilding experts who’ll challenge and inspire your group, maximizing their creativity. Getting started is easy! Simply tell us a little bit about the meeting you have in mind and we'll be in touch shortly to get things rolling. 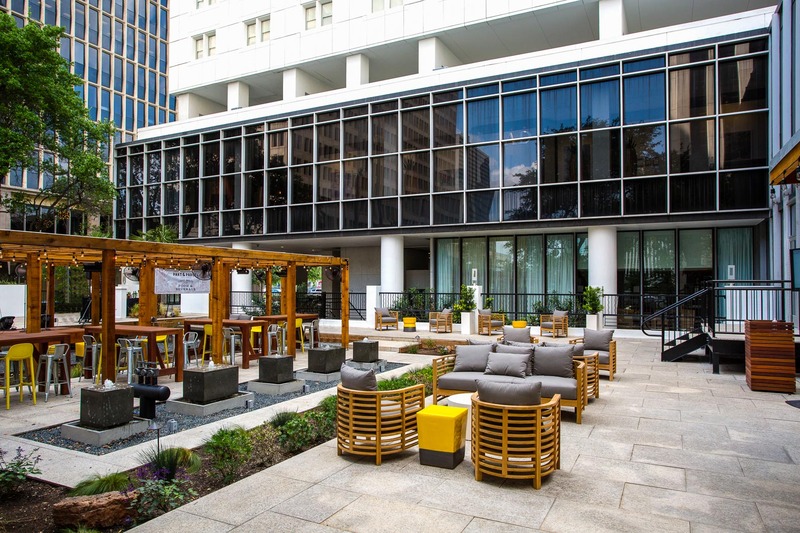 Interested in taking your event outdoors? 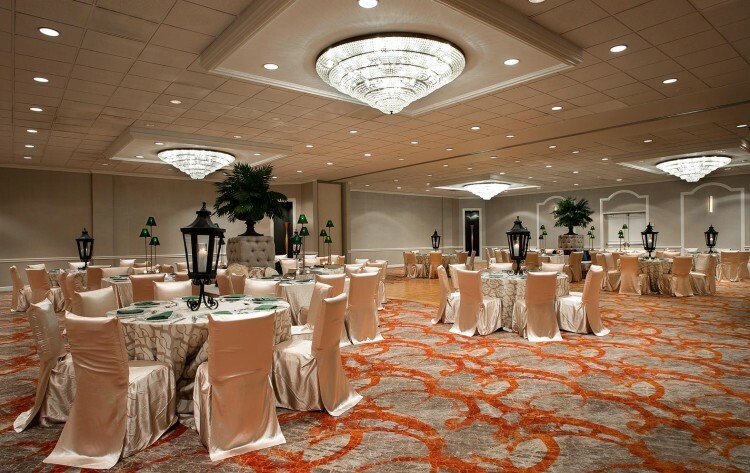 Mix, mingle and dine under the stars at Part & Parcel. 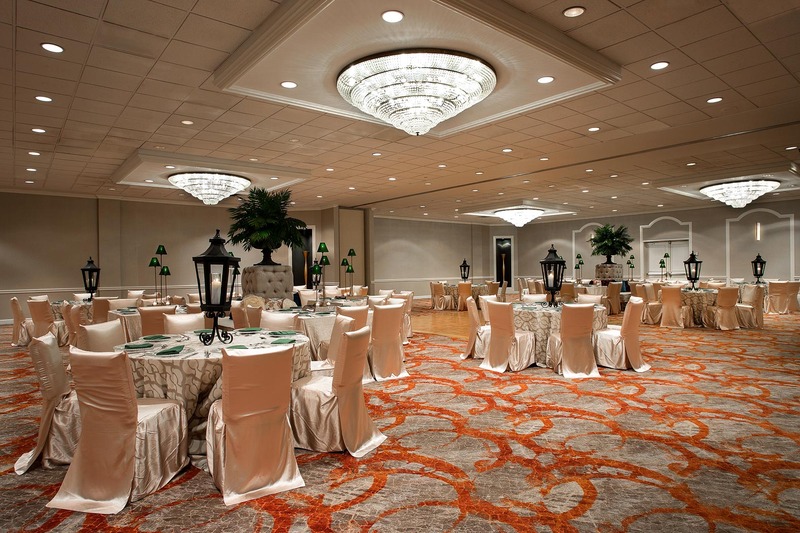 Our newest and most unique venue is ideal for welcome receptions and company dinners. 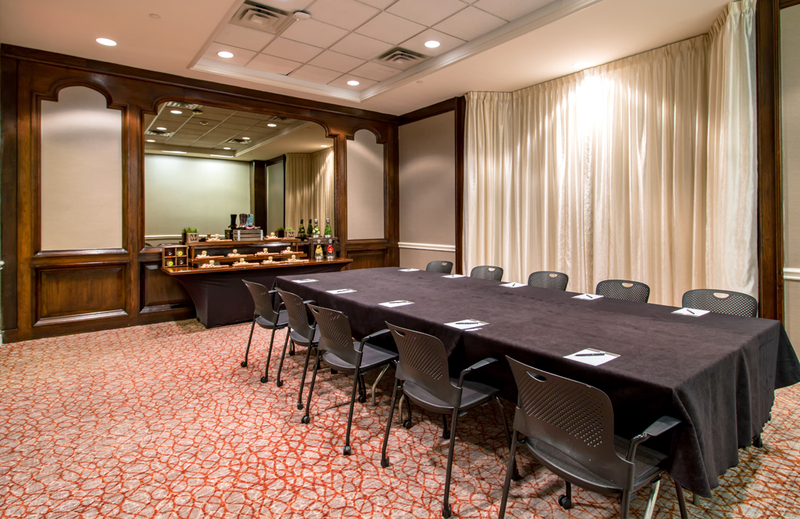 Located on the first floor, the Ambassador Room features floor-to-ceiling windows affording abundant natural light. 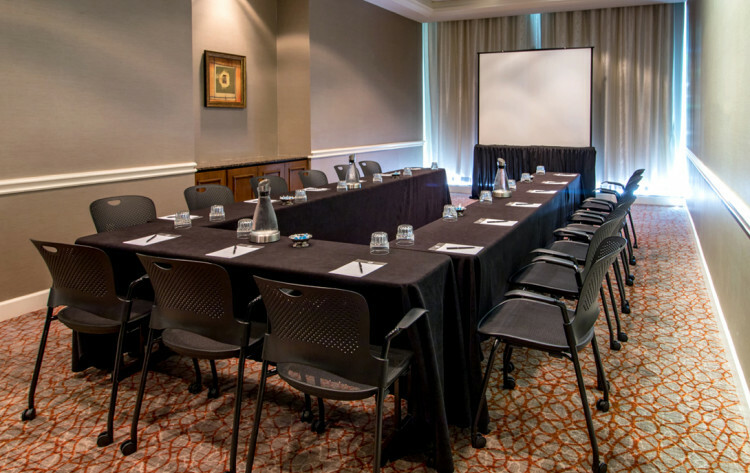 This room can accommodate a meeting size of up to 50 guests and can easily accommodate a seated function for 40 attendees. 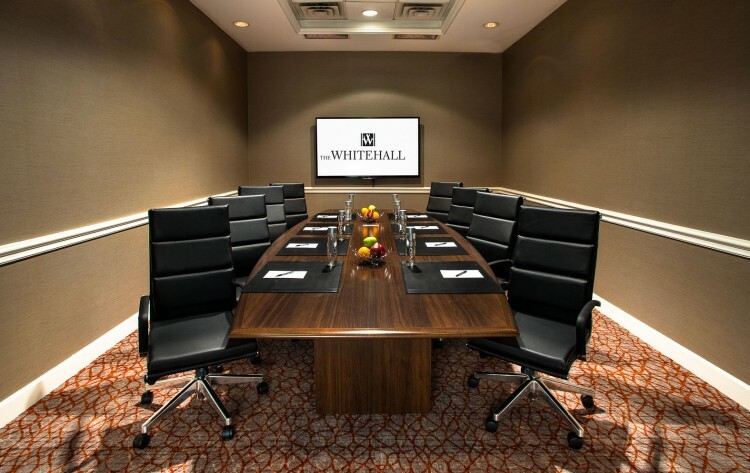 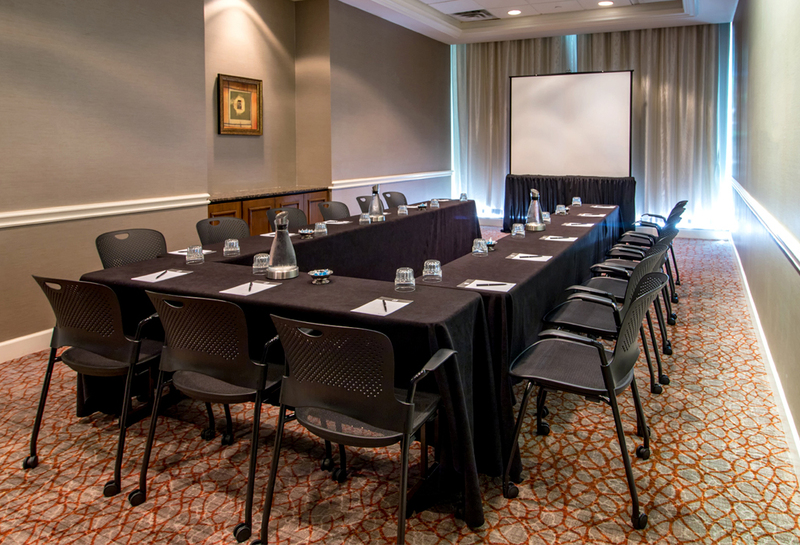 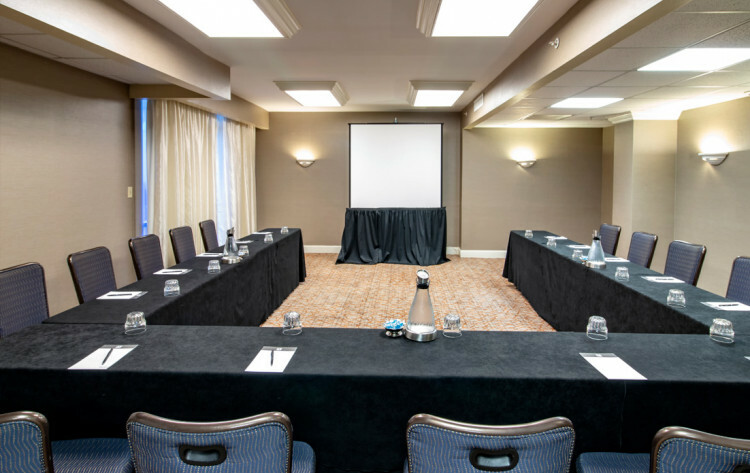 Accommodating 10 guests, our Diplomat boardroom is furnished with a mahogany conference table featuring built-in technology, executive-style leather chairs and a wall-mounted 65” inch flat screen to make sharing work a breeze. 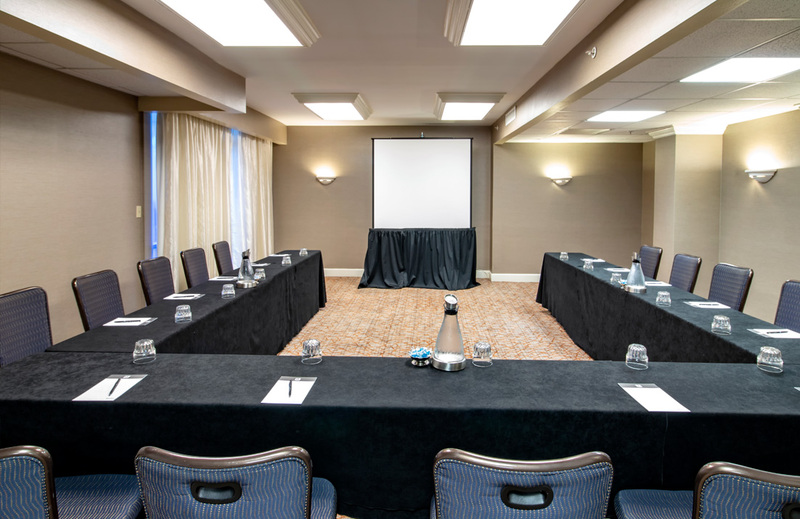 Accommodating 30 - 40 guests, the first floor Executive Room features floor-to-ceiling windows and a perfectly square shape, affording extra space for meeting essentials. 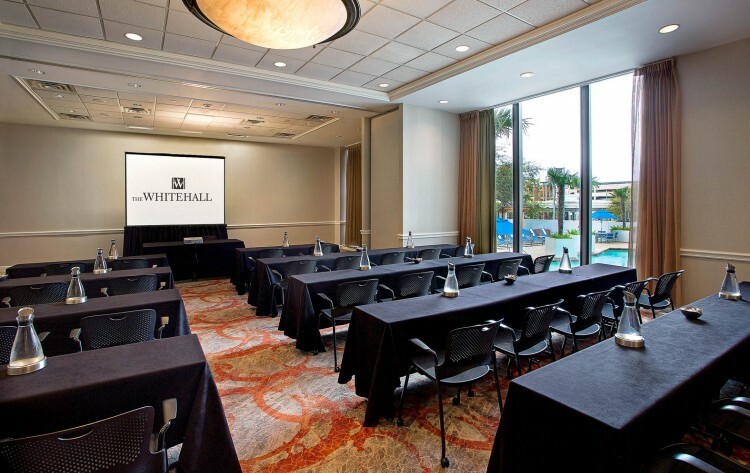 Ideal for social events and weddings, the Bayou Ballroom features abundant natural light through sweeping floor-to-ceiling windows overlooking the pool. 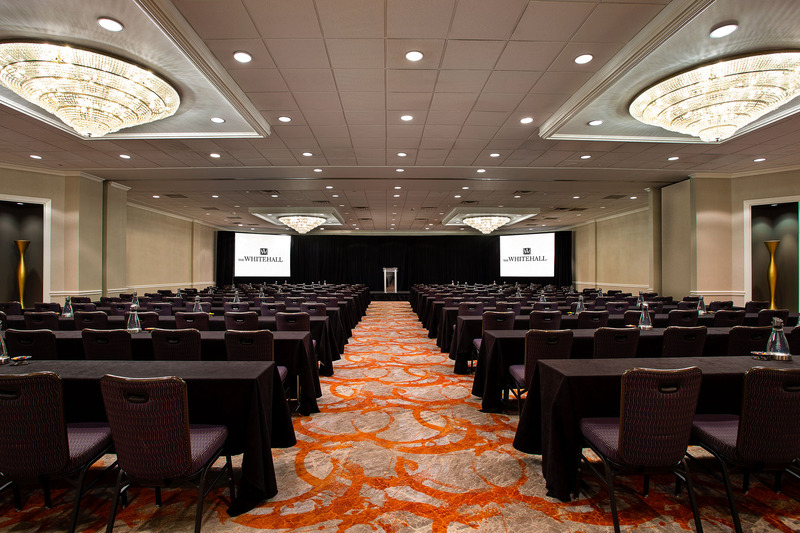 Our largest space, the Bluebonnet Ballroom is the perfect venue for a corporate meeting, conference, social events or wedding reception. 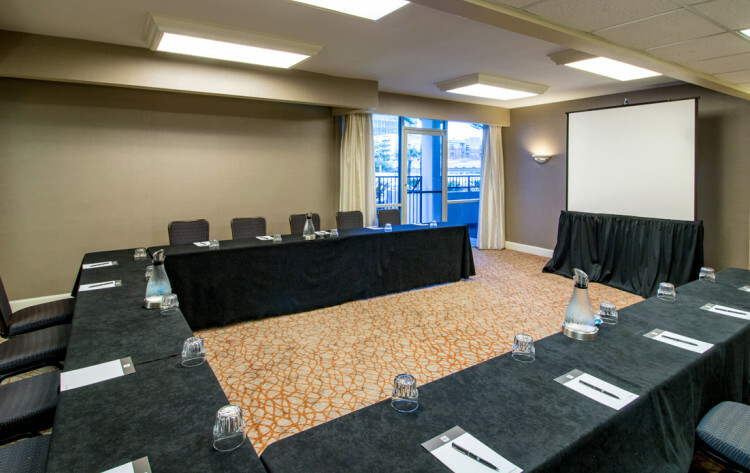 Its beautiful and classic design features include four chandeliers and alcoves in each corner showcasing sculptural décor. Named after our University of Houston Cougars, this flexible space features a built-in “snack kitchen” to set-up F&B stations and maximize its available meeting space. 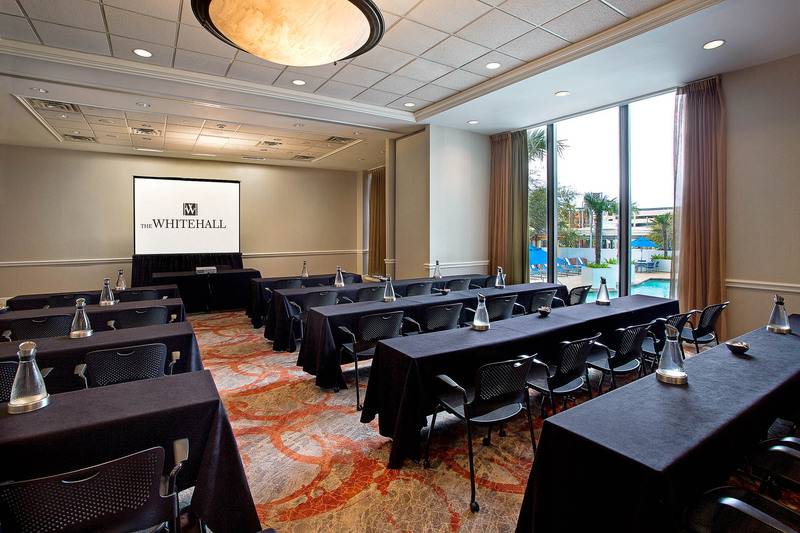 Perfect for mid-size meetings and breakouts or as a Hospitality Room, the Cougar features a wall-mounted flat screen TV for presentations or video sharing. 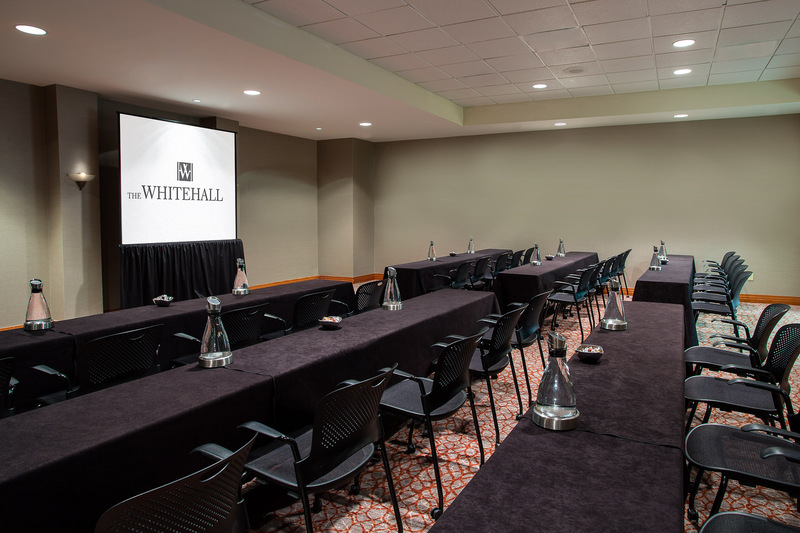 Located directly across from the Bayou Ballroom, the Gulf Coast A & B rooms feature original woodwork design features from The Whitehall. 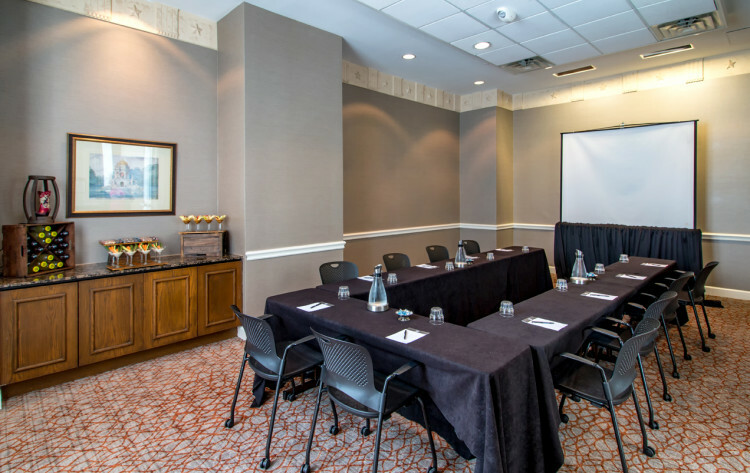 These spaces are perfect for a small meeting or breakout gathering for 20-30 people, and work equally well as storage and office space for larger meetings and conferences. Located at end of 2nd floor walkway featuring our famed white Italian marble floors and SCAD Art Gallery, these side-by-side rooms accommodate up to 40 guests for a meeting or event. 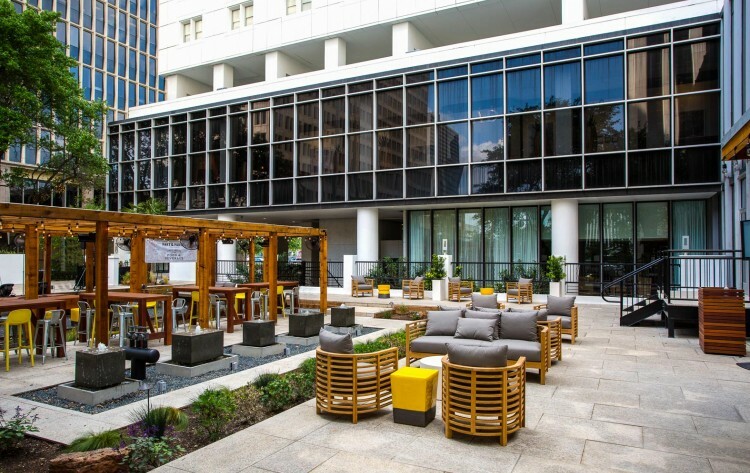 Houston A features a window overlooking Part & Parcel. 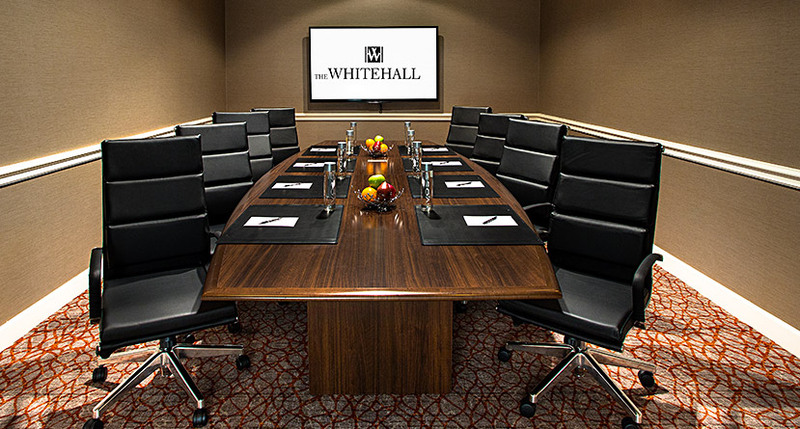 The iconic Whitehall room is one of our most popular spaces, thanks to its custom artwork and French doors crafted of mango wood and glass. 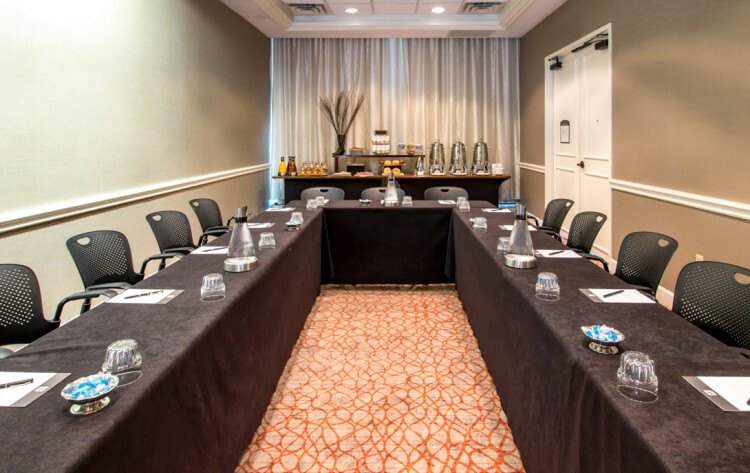 This flexible room can easily accommodate 50 to 80 guests. 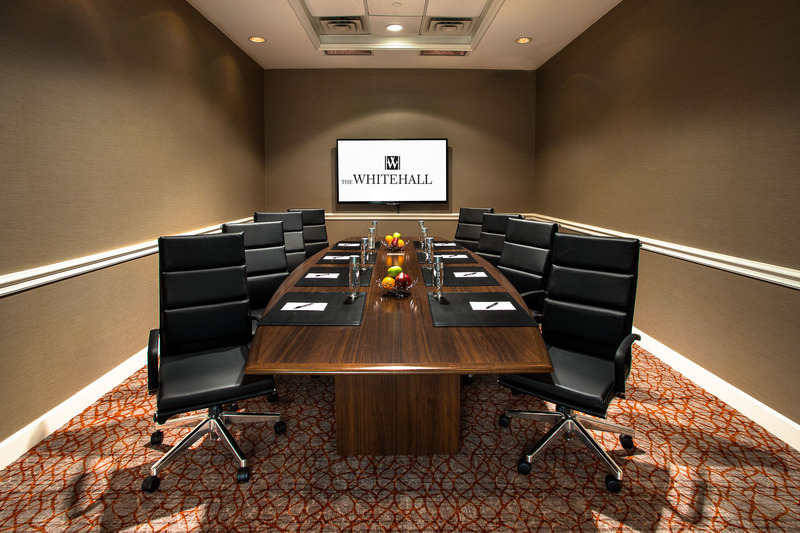 The Whitehall also features a bonus “room within a room” that is perfect for F&B set-up or storage space.